The Tanzania National Development Corporation (NDC) made an official announcement on behalf of the government of Tanzania, indicating that country will soon be among the front runners of soda ash production globally. Located in the Northern part of Tanzania, about 220km from Arusha Municipality, the Lake Natron contains a huge deposit of soda ash which is raw materials in chemical industries. NDC intends to establish 0.5 million Tonnes per annum (tpa) soda ash plant and expand it to at least 1.0 m tpa, in partnership with strategic investors. 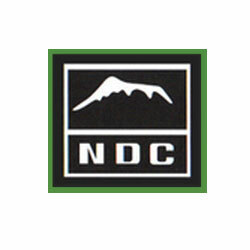 Further, NDC is finalizing studies for possibilities to extract the underground brine outside the present boundary of the lake basin above, 50km at Engaruka. NDC indicated that soda ash project will kick off as soon as they have necessarily done the needful to certify the Environmental Impact Assessment. Ramson Mwilnagila, the acting Director of NDC’s Heavy Industry, also added that if the project materialised in future then the nation’s economic bar graph will go up generating up to USD 300 million of revenue through the Basin alone. The total soda ash reserve is expected to be about 4.7 billion cubic metres giving Tanzania a special position in soda ash production globally.